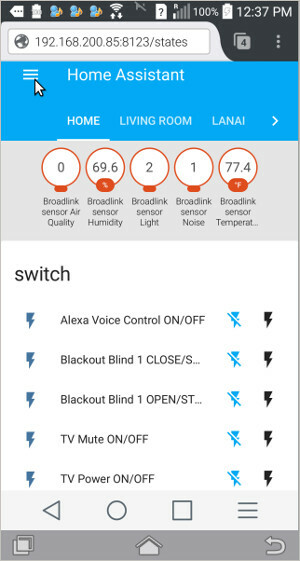 The BroadLink® RF-IR Blaster can directly control our roller shade motors and window openers with the excellent BroadLink® phone app, and this may well be all you need. But if you want to take things further, you can couple it to the Raspberry Pi® (a low cost, credit-card sized computer) via wifi using the excellent open source Home Assistant program. 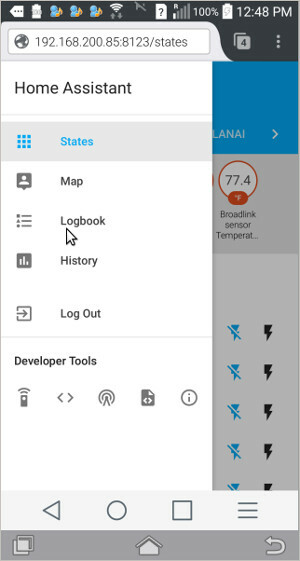 If you install the powerful Home Assistant home automation system (HASS) on the Pi, you will turn it into a very effective, low cost home automation system that will integrate over 600 different devices. This is the second article in this series and if you missed the previous introduction to the RaspBerry Pi, you might want to have a look at that first. 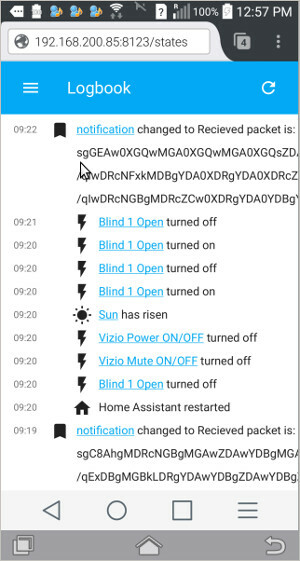 In this article we will discuss the configuration and setup of Home Assistant, as it pertains to making the BroadLink® RF-IR blaster function with our 433 MHz blind motors, TV remote, and disabling/enabling Alexa®. This is an example of three typical things you may need to control in your media room or home theater: Alexa, blackout blinds and TV remote control. This article series will not cover installation of the Home Assistant system on the Pi as this is well covered at the Home Assistant website. However, we think the All-in-one installer for Raspberry Pi is the best way to install the HASS program on the Pi because it automatically installs extra components such as MQTT and Z-Wave. It also sets up a virtual environment that prevents other programs from interfering if they are updated with new libraries that could possibly break the HASS system. The HASS software can also be installed on any OS platform; for instance, we used our lab machines running Ubuntu® to host the HASS system and to capture screens from HASS and write this article series. We later moved it to an RPi 3. We won't cover the setup of Alexa® here, but I would point out we have an Echo Dot that is plugged into one of our BroadLink® smart plugs, so that we can turn it off when we don't want it listening from the Amazon® cloud. The HASS program is controlled by a text file (configuration.yaml) that follows a specific type of data protocol called YAML, which is essentially a superset of JSON data files, both of which use a data structure known as key/value pairs. It is a relatively simple file, but keep in mind that, like the Python language, indentation is an important and critical feature. If you get it wrong, the HASS system will let you know with error messages. Also, please note that lines with a '#' character in front are not executable, they are just comments that make the key/value pairs and headings more understandable. If you download and install the example configuration file below, you'll be able to set your HASS system up in the same way we did. You should get a home screen that looks like the picture at right, where we have placed a few example sensors and controls. You will have to edit this file and enter the IP and MAC address of each device you have on your system; the sensor and switch controls will not appear until you do this. You can get that information by logging into your router admin, or by using software to scan your network. We used arp-scan on Ubuntu to get that information. At the top, we have the BroadLink® e-Air sensor reporting on room environmental conditions. 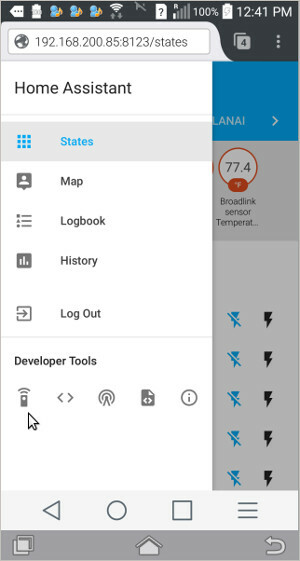 It is capable of IFTTT (if-this-then-that) automation, either with the separate BroadLink® phone app, or with the HASS system. Then we have the Alexa® power control, blackout blind controls, and the TV power and mute functions. After you replace the default configuration.yaml file for HASS with this file, you can start the remote control code captures, as described below, and copy/paste them into the command_on and command_off sections of the yaml config file. Please note the cursor arrow pointing to the menu selector in the above picture; you'll be using this menu system to capture and display IR and RF code strings. If you have already installed HASS, you'll know that it turns your Pi (or whatever you installed it on) into a web server, with an interface that can be viewed in a browser like Firefox® on any device connected by wifi (or cable) to your router. The screen captures you see in this article were taken from my Android phone (running Firefox) to demonstrate that it is a completely responsive design, and it looks good whether it is on a small phone, a larger tablet, or a regular computer monitor (regardless of browser). We also noted that any changes were immediately reflected on all the browser screens we had looking at the interface, including other Ubuntu laptops, an iPad, and another Android phone. This is very nice. In the Developer Tools area of the sub-menu, you'll see an icon that resembles a remote control; clicking on that brings up the second screen you see above. 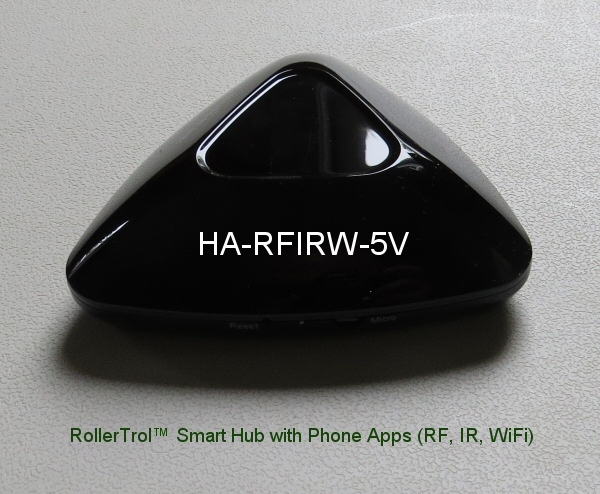 This is the actual interface that allows you to capture the codes from your remote control to store in the HASS system. 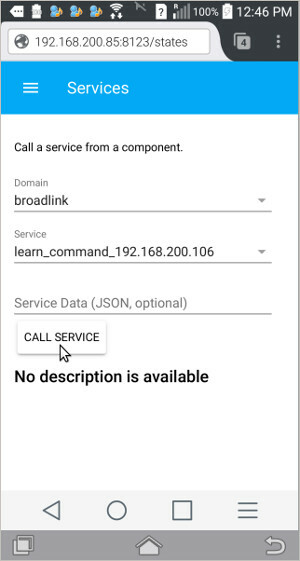 When you press the Call Service button (see arrow on picture), you should see the yellow LED on the BroadLink hub turn on to indicate that it has been set to learning mode. You then have 20 seconds to press the button on your remote for the function you want to store; when you release the button, you should see the yellow learning LED turn off. The captured code will be stored automatically in the logfile, which is accessed via the Logbook menu item shown in the third picture above (see arrow cursor). This produces the logfile report shown in the picture to the right. There are many events captured in the logfile, so we scrolled it so the captured code is at the top. You can see the captured code event in the picture where the cursor arrow is. It is important to understand that the captured codes are much longer than what you see on the screen, and the copy/paste function is much easier to handle on a laptop or desktop system, rather than a phone. Once you have captured all the control codes you need (and configured the IP/MAC addresses), you should be able to re-start HASS and be able to control everything you want to. It worked perfectly for us, but if you have problems please check IP addresses and MAC addresses in the yaml configuration file.